Fisheries management draws on fisheries science to formulate rules and regulations that define where, how, and how many fish can be caught each year. The aim is to allow us to harvest as much as possible without destabilizing the delicate marine ecosystem, thus ensuring the availability of fresh-caught fish to future generations. Fisheries managers look at data provided by scientists and use complex models to predict how present fishing efforts will affect the future numbers of various species and distinct genetic populations (“stocks”). If a certain species or stock is identified as being threatened or endangered, fishing may have to be strictly limited or even prohibited in broad areas to allow the fish to recover. Part of the mission of is to better understand the location and migration patterns of each stock so that limits or closures of fisheries can be as specific as possible. This will help us continue to protect our environment and natural resources without destroying the livelihoods of the humans who depend on the sea to survive. 1. Prevent overfishing while achieving optimum yield. 2. Be based upon the best scientific information available. 3. Manage individual stocks as a unit throughout their range, to the extent practicable; interrelated stocks shall be managed as a unit or in close coordination. 4. Not discriminate between residents of different states; any allocation of privileges must be fair and equitable. 5. Where practicable, promote efficiency, except that no such measure shall have economic allocation as its sole purpose. 6. Take into account and allow for variations among and contingencies in fisheries, fishery resources, and catches. 7. Minimize costs and avoid duplications, where practicable. 8. Take into account the importance of fishery resources to fishing communities to provide for the sustained participation of, and minimize adverse impacts to, such communities (consistent with conservation requirements). 9. 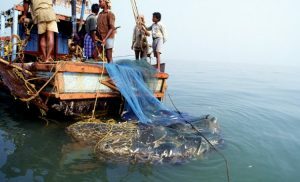 Minimize bycatch or mortality from bycatch. 10. Promote safety of human life at sea. The responsibility for interpreting and applying this law is divided between eight regional management councils, each being responsible for a broad area of coastline.. These hard working men and women are rarely in the public eye, but their efforts ensure that ordinary people are free to enjoy delicious fresh seafood now and for many years to come. In many cases, fisheries rules, regulations and enforcement measures are not efficient; fishing capacity and efforts are not sufficiently limited or controlled. Another important issue is that today´s fishing activities often occur far from the eye of regulators and consumers. 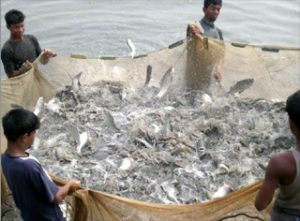 Inadequate fisheries regulations: In many fisheries, current rules and regulations are not strong enough to limit fishing capacity to a sustainable level. This is particularly the case for the high seas, where there are few international fishing regulations. Lack of implementation/enforcement: Even when fisheries regulations exist, they are not always implemented or enforced. For example, many countries have still not ratified, implemented, or enforced international regulations such as the UN Convention on the Law of the Sea and the UN Fish Stocks Agreement. Lack of political will is also responsible for failures to adopt bycatch reduction devices, for example. Lack of transparency and traceability: Customs agencies and also retailers are not always ensuring that the fish entering their country and shops is caught legally and in a sustainable way. As a result, consumers are unwittingly supporting poor management by purchasing fish from unsustainable fisheries. Only when our seafood is traceable can markets and legal systems be effective and reward sustainable practices, whilst deter the irresponsible. Failure to follow scientific advice: Many fisheries management bodies do not heed scientific advice on fish quotas and set catch limits above the recommended maximum amount; this is the case for for Atlantic cod and tuna, for example. Flag of Convenience vessels: Countries are either failing to restrict fishing companies from owning and operating FoC vessels, or are not rigorously inspecting FoC vessels landing at their ports. This include countries with some of the biggest fishing fleets such as the EU, Japan, Korea, and Taiwan (China). This allows illegal, unreported and unregulated (IUU) fishing to continue. 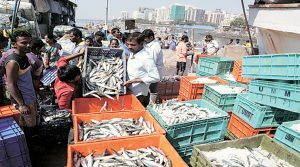 Too few no-go areas for fishing: Protected areas and no-take zones, where fishing is banned or strictly regulated, can provide essential safe havens where young fish can grow to maturity and reproduce before they are caught. But just 1.2% of the world’s oceans have been declared as Marine Protected Areas (MPAs), and 90% of existing MPAs are open to fishing. The current lack of protection is especially worrying for fish spawning grounds and the deep sea, both of which are particularly vulnerable to overfishing.